In 2012, Americon president, Bill Farah, worked side by side with the government to create a command post at Charleston Air Force Base in Charleston, South Carolina. 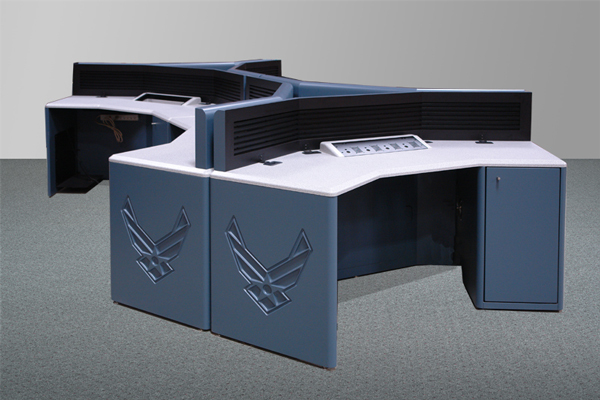 The requirement was to replace antiquated Siemen's radio consoles with new cockpit style command post consoles that Americon developed and supplies to Air National Guard command posts all across the country. 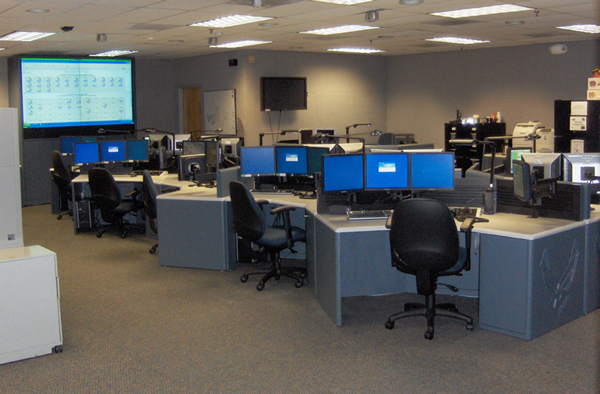 At Charleston AFB, we supplied consoles for two rooms along with two Visionmaster rear-projection video walls in custom made cabinetry. Lastly, we installed an LCD panel video wall in the adjoining room. 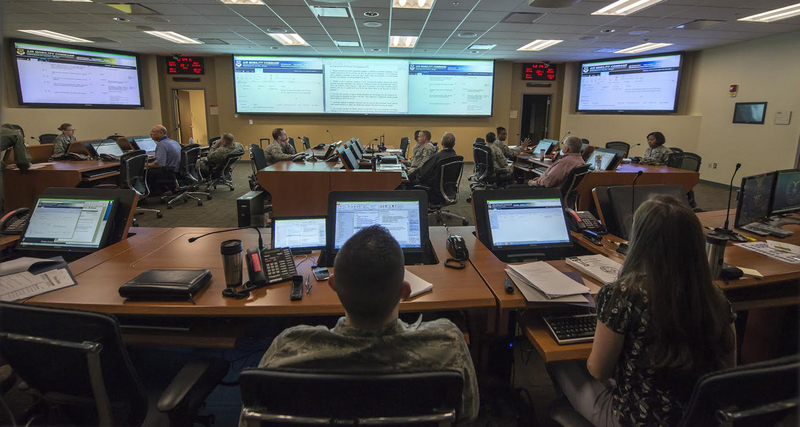 In 2015, Americon revisited Charleston Air Force Base to create an emergency operation center. 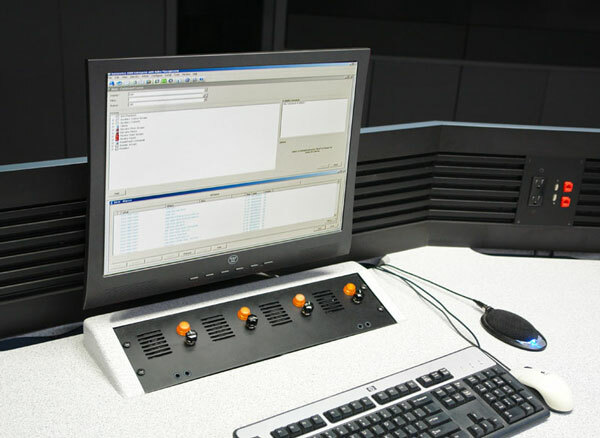 This time we supplied our "Communicator" flip-screen furniture. In the front of the room, we used linear consoles that were placed back to back. The lo-profile well that is created when the screens are flipped aid in creating line of site collaboration between the responders. In the rear of the room, we added are concentric arc version for management that faced a video wall of 70" LCD/LED backlit monitors. Americon also developed a 3 RU tabtop turret to mount the Siemens legacy radio components taken from the old console. This included four speakers, individual indicator lights and volume controls. There are also two sets of headset jacks. One for the dispatcher and the other for a shift supervisor to listen in to a conversation when necessary. We have also developed a similar speaker box that can be hung on the slatwall but this customer, as most, preferred the turret.